Heroku is a cloud "platform as a service (PaaS)" supporting several programming languages that is used as a web application. Question: Can we deploy the PHP Project in Heroku? Yes, you can do. You can even deploy Java, nodeJs, Python and Go project also. Question: What other programming language it support? Question:How many Apps created on Heroku? Question:How many services Heroku have? Heroku is a platform for data as well as apps - providing a secure, scalable database-as-a-service. It is million of developers tools like database followers, forking, dataclips and automated health checks. 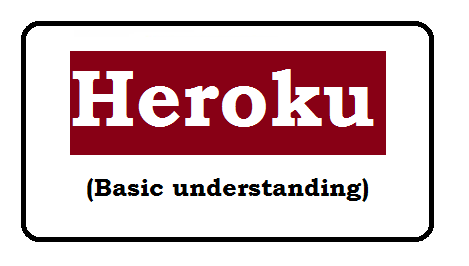 Question: What is offical website of heroku? Question: What are the steps to configure PHP Project? Introduction: Installed PHP, composer locally. Set up: a) Download the heroku CLI. b) Installed the CLI with Git. c) Login with heroku account.